This villa was designed as a recreational house, posited not far from Karlovy Vary, in the town of Andelska Hora (Angel Mountain) CZE. Andelska Hora sits above 600 meters in altitude. The concept evolved from traditional forms of Czech village living typologies, which include A-frame roofs made from timber construction. The land plot has ideal South orientation, with fabulous views of the region. 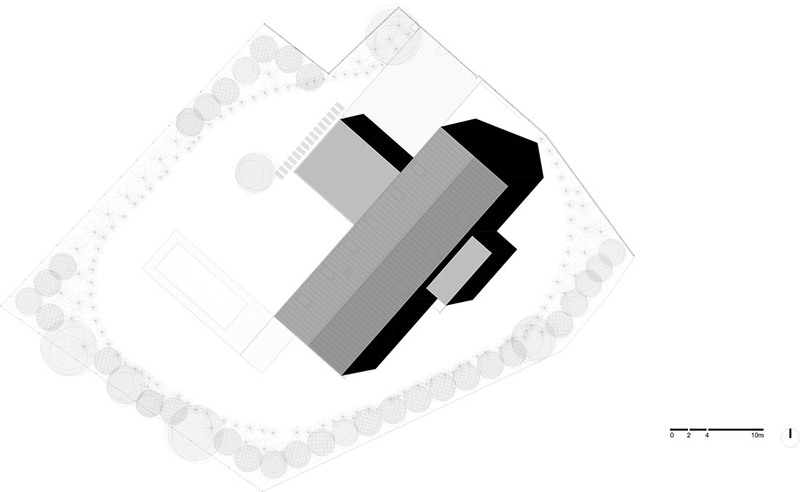 After analysis of the site, a ‘cross’ configuration was proposed in plan, with double-height massing of the main components of the villa. The crossing forms are flat-roofed and one floor in height. 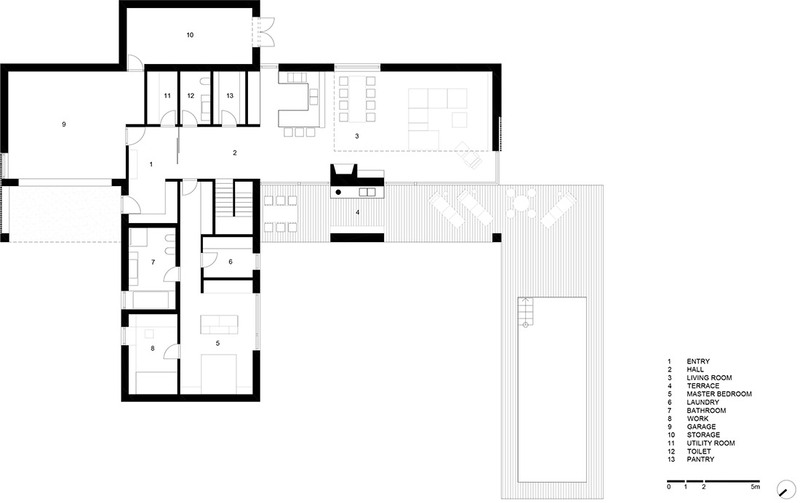 The main living space is in the South-West end of the main volume, which also includes an open gallery. The living style is informal, with the kitchen-dining also oriented to the roofed, outdoor kitchen and entertaining area. The side wings of the ground floor have master bedroom, study and service functions. The upper level of the villa has three bedrooms and bathroom. The vertical ends of the main villa body are from recycled, charred spruce wood, and the East-West façades are clad with RHEINZINK. The lower crossing wings are clad with CORTEN.